The Fort Lauderdale Real Estate market has certainly witnessed a storm but the amazing views from Sunrise East Condo never changed. As the Fort Lauderdale Real Estate Market begins to change the renovations that have been done to Sunrise East will make it stand out as a great Fort lauderdale Condominium value. Read more about Sunrise East Condos in Fort Lauderdale, Florida. Sunrise East is the first building as you cross the Sunrise Bridge to Fort Lauderdale Beach. 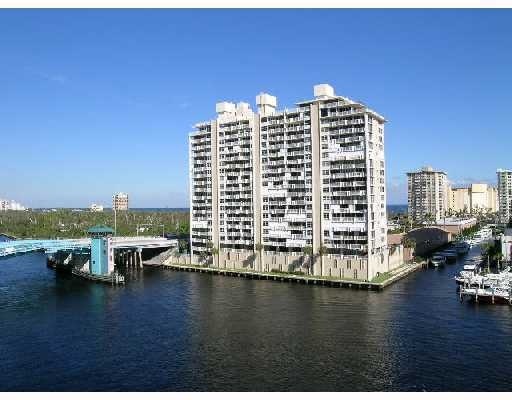 With this location it is easy to understand that the intracastal and ocean views from these floor thru Fort Lauderdale Condominium units are just incredible. With its roof top pool and exercise room, and short distance from the Galleria Mall and the Beach, Sunrise East can make a perfect vacation home or full time Ft. Lauderale Condo. At Eric Miller and Associates, "We're here to help" with your next Sunrise East Condominium purchase or sale. Contact us directly at (954) 383-8170.